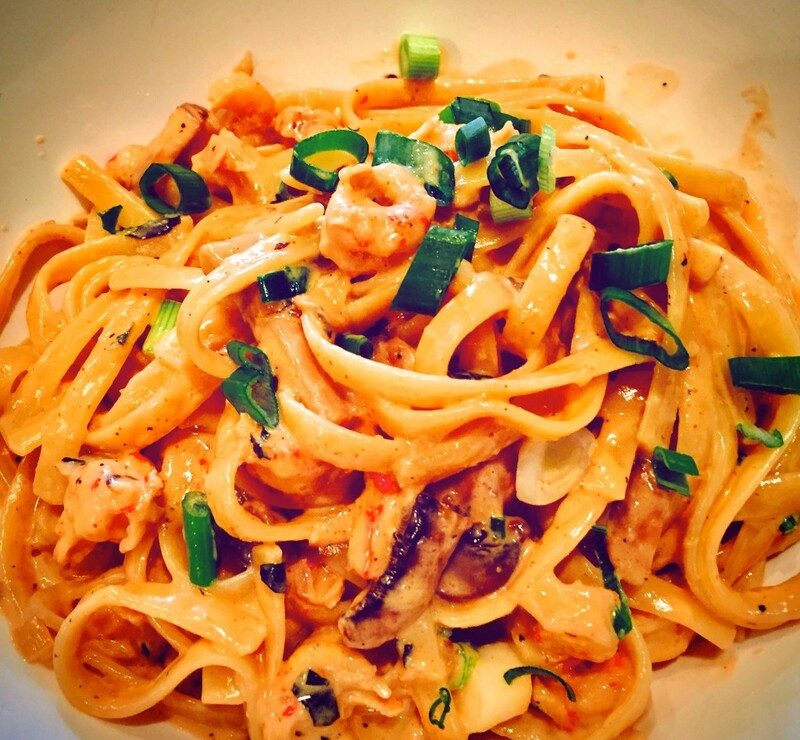 A big bowl of Cajun flavored crawfish pasta is the perfect dish for crawfish season!! It comes together fast. Cook Pasta in salted water for 13 minutes, drain and set aside. While the pasta is cooking, mince the shallot, and slice the mushrooms, and set aside. Slice the scallions, into rings, set aside until the end. On medium heat, in a large frying pan, add the oil and butter. Add the minced shallot, and sliced mushrooms, and sauté over medium heat for about 3 minutes. Season with cajun seasoning, cayenne pepper, onion powder, white pepper, and a little salt, stir. Sprinkle the cornstarch directly over the sautéed mushrooms and shallots. While stirring, pour in the brandy (watch the flame)! When the brandy is almost evaporated, pour in the heavy cream, and stir until thickened (adjust heat if needed). Add the crawfish and stir gently until the crawfish is heated through. Add the Parmesan, and stir. Pour the crawfish cream over the pasta. Add the sliced scallions, give it all another stir, and serve.